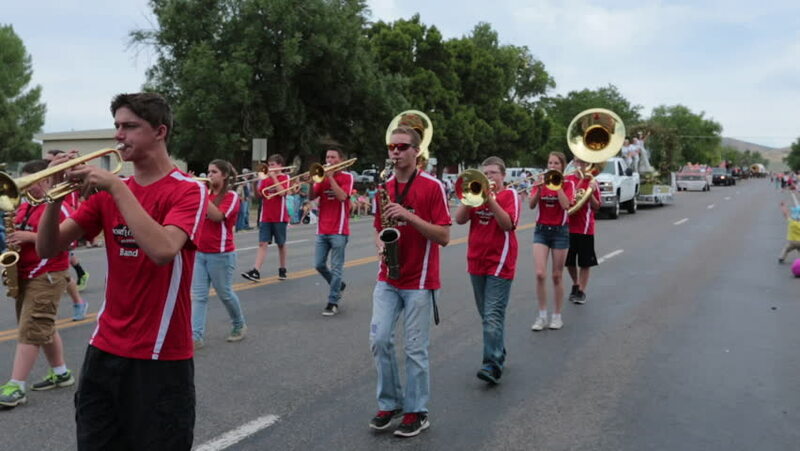 FOUNTAIN GREEN, UTAH - JUL 2016: High School marching band rural town parade. Fourth of July, American celebration for freedom rural town. Parade reflects community values family morals. hd00:29FOUNTAIN GREEN, UTAH - JUL 2016: High School marching band rural community parade. Fourth of July, American celebration freedom in small rural town. Parade reflects community values and family morals. hd00:14MOSCOW, RUSSIA - JULY 31, 2015: Show street circus performers on stilts. Pedestrians photographed with actors on stilts. Festival of street theaters "Inspiration". sd00:22LOS ANGELES - NOV 9: Hundreds of students and workers rally at UCLA on November 9, 2011 in Los Angeles. Refund California organized the event as part of the Occupy Wall Street movement. hd00:34TUTAEV, RUSSIA - CIRCA JUNE, 2016: Small concert folk residents Tutaev on the embankment of the Volga River. Included in the tourist route Golden Ring of Russia. 4k00:07San Pablo City, Laguna, Philippines - November 16, 2017: High school students gather on the road queuing for street food.